January 28, 2014 – Beehive Bicycles and the Utah Avalanche Center have colloborated to host a pair avalanche awareness clinics for fat bikers. 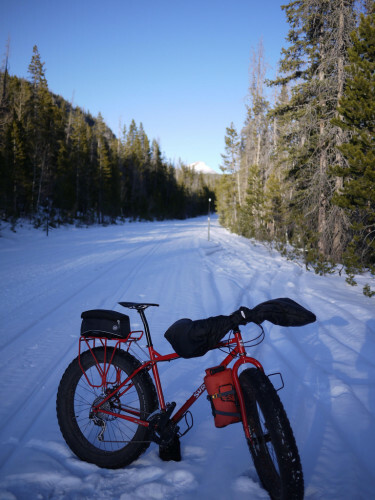 With the growth of fat biking and the increased use of fat bikes in the backcountry of Utah's snowy and avalanche prone terrain, fat bikers are vulnerable to avalanches and also more likely to encounter or need to assist in rescue of a skier, boarder, or other backcountry user. Greg Steele, owner of Beehive Bicycles, says, “We created this class with the Utah Avalanche Center because we are seeing more riders explore more terrain on fat bikes. As a long time backcountry skier with avalanche training, I have growing concern about the lack of knowledge and awareness of fat bike riders of the risks. The clinics will cover basics of where and when to go, and what to bring with you in the backcountry as well as route finding, snow conditions, and more importantly situational awareness – paying attention to what or who might be above you. The first clinic will be held at Beehive Bicycles, 1510 S. 1500 E. Salt Lake City, on February 5th, 2015 at 7 pm. The second will be held in Ogden on February 13, 2015 with the time and location to be announced. For more information, contact Beehive Bicycles at 801-839-5233.